As you are researching your options for travel medical insurance, you’ll find that there are two types of visitors insurance: limited and comprehensive travel health insurance. 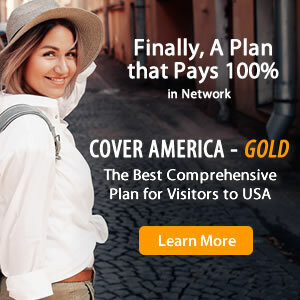 Limited coverage plans provide basic travel medical protection while comprehensive coverage plans offer better visitors insurance benefits and more flexible coverage. You might find yourself asking, “which type of coverage do I need?” Find out the difference between limited and comprehensive coverage so you can choose the best visitors insurance policy and coverage type to fit your travel needs. Limited coverage insurance provides basic protection and is usually less expensive than comprehensive coverage plans. Limited coverage plans have a fixed, pre-defined amount for each benefit. Any costs that exceed the fixed amount are your responsibility and must be paid out-of-pocket. With limited coverage plans, you also pay a deductible for each sickness or injury. For example, if you have a limited coverage policy with a $100 deductible, you must pay the deductible for each treatment received before your insurance coverage begins. Per sickness or injury deductible. 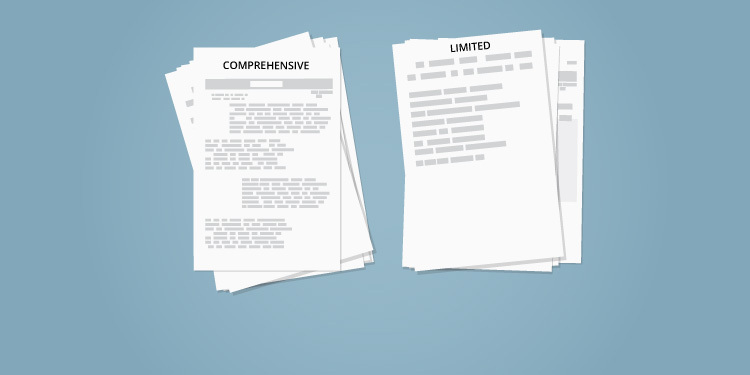 Comprehensive coverage insurance offers more complete protection at a slightly higher cost. Comprehensive insurance plans provide percentage-based coverage, meaning that they cover some percentage of your medical bills up to a certain amount, then 100% of your bills thereafter. It is for this reason that comprehensive plans are more preferred and provide better protection. Another benefit of comprehensive plans is their one time deductible. Unlike limited plans, which require that you pay the deductible per sickness or injury, comprehensive insurance policies have you pay the deductible only once per policy period. Even if you return to the doctor or hospital multiple times, you only pay the deductible once. In addition, many comprehensive visitors insurance plans offer travel related benefits such as trip cancellation and baggage loss coverage. Slightly more expensive than limited coverage plans, higher premium. Better, more extensive medical protection. Most include travel related coverage. Most travelers prefer comprehensive coverage insurance because it offers better protection. Although limited coverage plans provide basic travel medical protection, in the case of a serious sickness or injury, they may only cover a small amount of your medical bills. In a country with high cost of medical care such as the United States, limited coverage insurance may not provide adequate coverage. A comprehensive coverage policy may be best for travelers who are more at risk of becoming sick or injured or are planning on participating in any sort of adventurous or strenuous activities during their trip. Whether you choose a limited or comprehensive insurance plan, you are saving yourself from a huge financial risk. With both limited and comprehensive plans, you must select a deductible and a policy maximum, both of which affect your premium cost. Once you decide which type of coverage is best for you, learn how to select a deductible and how to select a policy maximum to find the best visitors insurance policy to suit your trip.